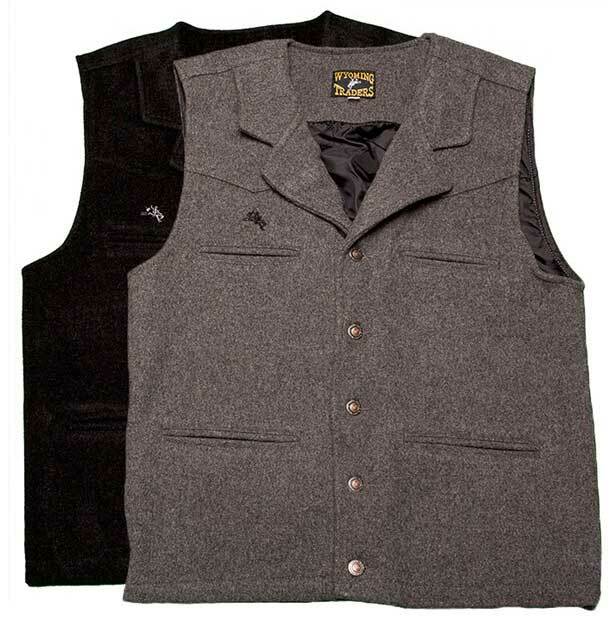 The Buckaroo Vest is an attractive Vest made of 22 ounce pure Australian Wool. The wool is naturally water resistant, so this is perfect for the working Ranch hand or Cowboy. 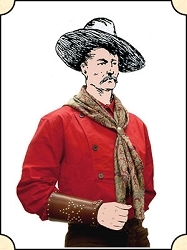 Done in a western cut this vest features: wool lapels, a bit of well hidden elastic at the back and a Bronc rider embroidered on the front. 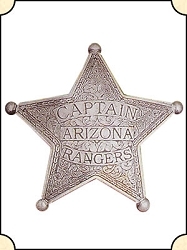 The Buckaroo is great for any Old West or Western Clothing selection or everyday Ranch Wear. Reinforced stitching makes this vest a good one for work or play and will hold up to both.